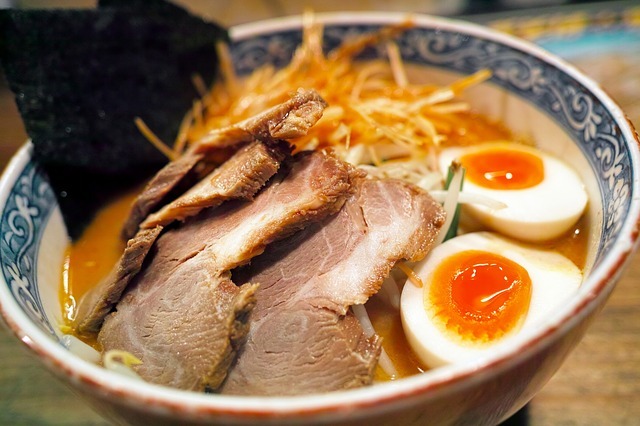 There’s nothing more warming and satisfying than a steaming bowl of hot ramen, and West Haven has a new spot to get this authentic Japanese specialty. iishin Ramen Bar serves appetizers, a few rice dishes, and their namesake ramen soups in a cozy, intimate dining space. Choose from seven different noodle bowls, including a vegan option, plus additional toppings to customize your creation. First timers should try the signature iishin ramen bowl with 24-hour pork bone broth, straight noodles, marinated chashu pork, nori, and egg. They also have a spicy version, and a few other variations like those with black garlic oil, chicken and soy broth, and miso. Add a starter like bao buns, brussel sprout tempura, or yaki gyoza, and you will leave feeling full and happy. You can also get your ramen to go, and iishin Ramen Bar expertly packages everything for ultimate eating-from-the-couch enjoyment. iishin Ramen Bar opens daily at noon. Order online directly from their site, or stop into the tidy dining room next to Savin Rock Roasting on Captain Thomas Boulevard.